Whenever I have the opportunity to be interviewed or speak to an audience about Knit Marketing, the question comes up, “what led you start Knit?” which I suppose you can find in bits and pieces throughout our website, but I’ve never actually taken the time to explain the story in detail. With Yesenia’s recent blog about our social mission, I figured it was time I also shared the why behind our company and where it all began. So I hope you have a warm cup of tea and are snuggled up with a blanket, because we’re venturing into story time! In 2010-2012, I served as a US Peace Corps Volunteer in rural Mexico. Among many projects and amazing experiences, I was asked to teach English to students ages 4-35 in my small mountain town of about 2000 people. 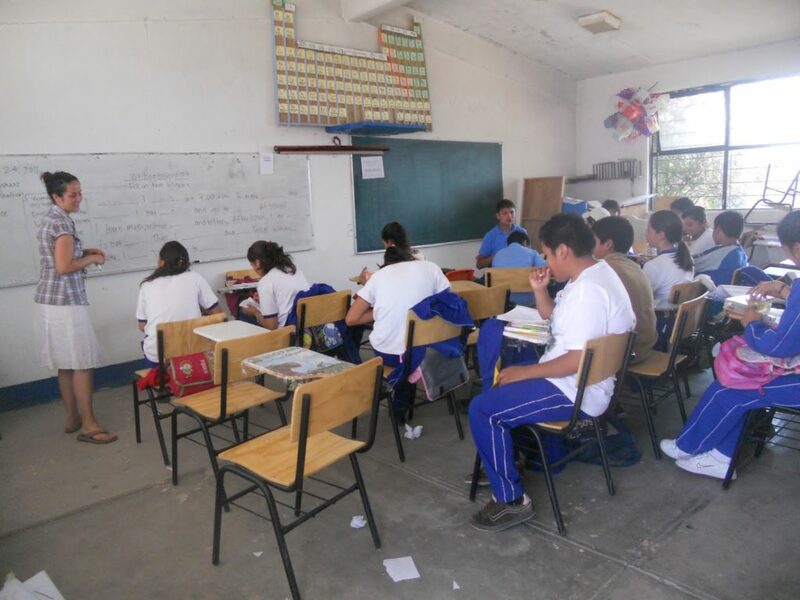 I had never taught prior to living in Mexico, and never had an interest in being a teacher, but I quickly grew to love it. I loved watching my students grow over the two years I was there, and developing special age-specific curricula to expose them to bits and pieces of learning a new language. When I came back to Los Angeles, I knew I wanted to focus my career on education and I felt compelled to stay where I grew up and serve my own city. I began tutoring and working at Franklin Educational Services as the Director of Education. I was also determined to find a unique solution to at least one of the challenges that face the public education system in Los Angeles. What became clear while working in private tutoring, was that families who can afford to send their kids to top private schools also can afford to invest in additional after school support, whereas this is not an option for the majority of students. I became interested in solving the problem through business, so I pursued a Master’s degree at USC. I set out to open my own tutoring company that would serve students of all backgrounds throughout the Greater Los Angeles. The program at USC opened my eyes to customer discovery, and pushed me to talk to educators all over the city to really understand the challenges and needs of public education. The answer that kept ringing in my ears to the question, “what do LA students need?” was “jobs.” Teachers and administrators would tell me about the amazing strides they had made and the programs that their schools offered. High school graduation rates have gone up and so have college entrance rates. However, many students (especially from under resourced communities) go to college and come home to find out how difficult it is to get a good job. Many students don’t have the luxury to seek unpaid internships, because they need to work to pay for books and food, so instead of getting a part-time job in college that teaches them the hard and soft skills they need to advance their careers, they find any job that will pay. Of course, there’s nothing implicitly wrong with working one’s way through college as a server (I was a prep cook in college) or in retail. However, those jobs aren’t preparing students for what’s next. They finish university and employers are looking for experience that recent grads simply don’t have, and their fresh-inked degrees aren’t enough. While I was studying the education landscape from the educators’ perspective, I also saw students constantly on their phones on social media. In every job I’ve had since college, I’ve been responsible for the marketing efforts (email campaigns, social media, website rebuilds, blogging, etc.). 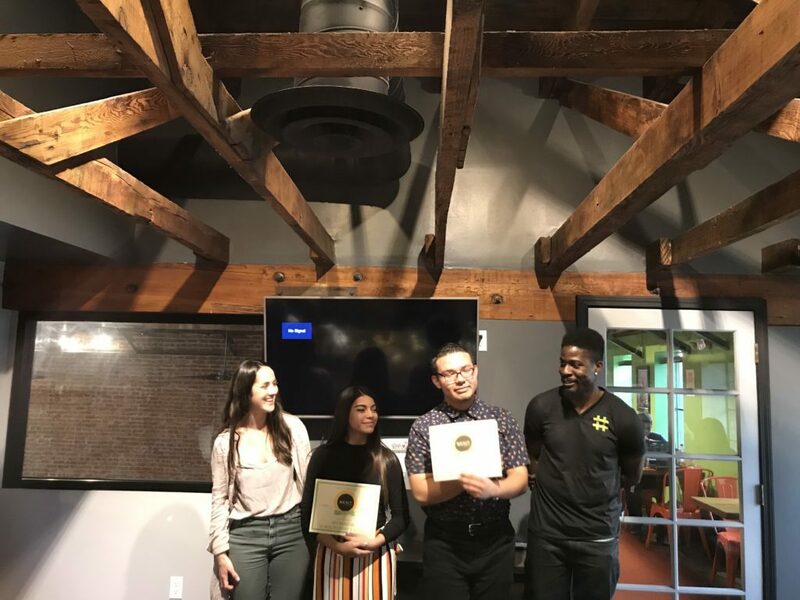 With my experience and the innate skills and interest to spend their lives attached to their phones, I decided that one possible solution to the student-job-gap instead of opening a tutoring company, was to start a digital marketing agency that would put these brilliant young people to work. And they needed to gain the experience before getting out of college, so the next step in starting Knit Marketing was partnering with schools and after school programs to recruit our first team. I partnered with iMentor Global to recruit our first ever #Kninterns, Paris and Nyana, and Barnabas Robotics became our first client, ready and willing to let 17 & 18-year-olds take over their social media! Over the past two and a half years, we’ve had 7 interns and our Director of Operations. We’ve learned how to build a sustainable training program, that we continue to implement every summer. We’ve streamlined our processes and the team is self-sufficient with very little supervision from me. I’m extremely proud of every one of our current and past team members and I feel blessed that Knit Marketing gets to play even a small role in their futures. So that’s us. Knit means the stitch between students who need jobs and businesses that require marketing help. We aim to employ hundreds of teens over the next ten years, so if you know anyone that needs a digital marketing team, give us a call. 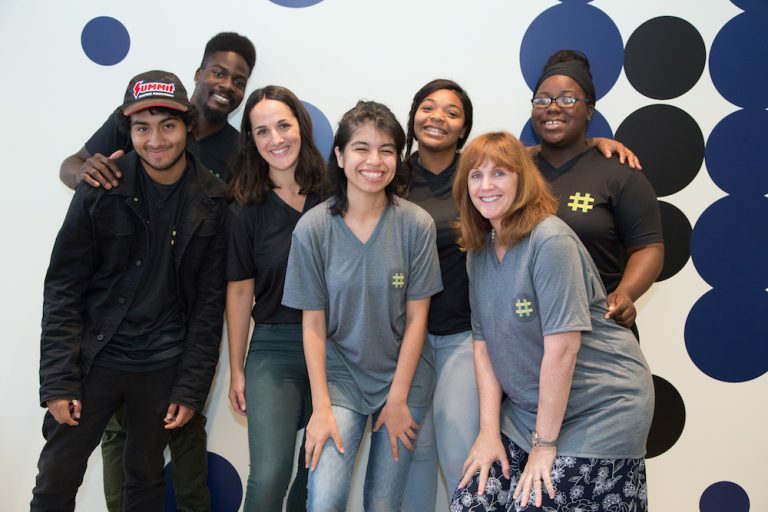 When businesses spend their marketing dollars with Knit, they are providing an incredible stepping stone for young people. Thanks for hanging out. If you’d like to hear more, have us speak at an event, or hire our youth team, please feel free to contact us!